If you read my review of Digital Minimalism, you’re aware of the Digital Declutter process. If not, head over to read it and then come back here. To better understand what technologies and practices are worthwhile and valuable for me. To spend more time reflecting, thinking, and praying. To spend more time reading, creating, repairing. To spend more time in nature. To reset my habits and routines. To help fight the attention economy and the harmful effects it has for discourse, complex thought, and mental health. Can I mitigate the harmful effects? Is there another way to accomplish this, even if it would be inconvenient? I am blocking off time twice a day to check email (once in the morning and once in the afternoon), and letting it buffer in between. I have eliminated most applications from my phone and blocked social & news sites in my browsers. The only alerts I get from my phone will be for direct people connections (texting, work chat, phone calls, video calls, etc.) or travel (rides, flights, directions, etc. ), and my phone will be in “Do Not Disturb” except for core work hours (7-6). My DND is set to allow calls from numbers that are in my contacts. I will do all my (professional and personal) work from the computer and not my phone. I will not play video games, read ebooks, or play music & podcasts. I will do my shopping in stores and I will use the library. I’m beginning tonight, with the start of our Ash Wednesday service and the beginning of Lent. I’m ending on Easter Sunday (April 21st on this calendar) and the end of Lent. I am holding “conversation office hours” every day between 4:30 and 5:30 Eastern. You can call me any day during those times. This episode of the Knowledge Project has even more great parenting and development insights than the last one I shared. Excellent episode of the Knowledge Project: Peaceful Parenting. I’m not a parent and I still got a ton out of it. You’ve probably already heard: billions of dollars are spent on psychology and technology to claim as much of your attention as possible, to sell as much advertisement possible. The addictiveness of sites, apps, and phones is not an accident, but rather a result carefully engineered to be just so. In addition, “darker emotions attract more eyeballs than positive and constructive thoughts”, so we are pushed towards outrage, anxiety, and despair. Various attempts have been made to lessen the negative side effects and addictive properties of modern attention-economy technologies, but they’ve largely been unsustainable. What to do? Newport Recommends Digital Minimalism. Digital Minimalism - A philosophy of technology use in which you focus your online time on a small number of carefully selected and optimized activities that strongly support the things you value, and then happily miss out on everything else. Digital Minimalism includes avoiding “low-value activities that can clutter up [our] time and attention and end up hurting more than they help.” It also means asking ourselves “is this the best way to use technology to support this value?” The law of diminishing returns also applies, here. The sugar high of convenience is fleeting and the sting of missing out dulls rapidly, but the meaningful glow that comes from taking charge of what claims your time and attention is something that persists. Newport recommends an intentional process to reassess your needs and values. Put aside a thirty-day period during which you will take a break from optional technologies in your life. During this thirty-day break, explore and rediscover activities and behaviors that you find satisfying and meaningful. At the end of the break, reintroduce optional technologies into your life, starting from a blank slate. For each technology you reintroduce, determine what value it serves in your life and how specifically you will use it so as to maximize this value. [C]onsider the technology optional unless its temporary removal would harm or significantly disrupt the daily operation of your professional or personal life. Newport also warns us to not confuse “convenient” with “critical”, when analyzing our needs during this period. Two methods to “take a break” are bans and operating procedures. A ban is simply not using that site, tech, app, etc. during the period. Operating procedures entail using it under certain rules. For example, many test participants in the program moved many tasks to their laptop/desktop that they had often completed on their phones, or checked certain apps/sites only once a week, or during a certain window, or in a certain place. In the end, you’re left with a list of banned technologies along with relevant operating procedures. Write this down and put it somewhere where you’ll see it every day. One of the side effects of the engineered attention economy is that we’ve become accustomed to distract ourselves at the slightest moment of boredom or uncomfortable introspection. In addition, cutting out mindless swiping and browsing will introduce a lot of free time. If we don’t have a plan to proactively use our freed time, our Digital Minimalism practice is likely to fail. During your tech break and again in your reintroduction, see which of these would be good to include in your habits. Time with our own thoughts is important, in short, for mindfulness. It’s important for the ability to consider problems, to examine & regulate emotions, reflect on values, and more. Newport refers to the mounting evidence regarding how the attention-economy is drastically driving up anxiety levels. As I mentioned at the beginning, we know our negative emotions are targeted for reaction, but on top of that we are also repeatedly presented with “curated” versions of others’ selves, and finally, the systems are designed for us to continually seek the repeated micro-approvals of others. The attention economy is engineered in a way that drives anxiety. Thus, the following practices help us have time without input from “other minds”, to help restore some control, attention, and mindfulness to our lives. Conversation Centric Communication: Conversation is the only form of interaction that in some sense counts toward maintaining a relationship….Anything textual or non-interactive—basically, all social media, email, text, and instant messaging—doesn’t count as conversation and should instead be categorized as mere connection. In this philosophy, connection is downgraded to a logistical role. This form of interaction now has two goals: to help set up and arrange conversation, or to efficiently transfer practical information…. Connection is no longer an alternative to conversation; it’s instead its supporter. By yourself. Without your phone. AKA write in notebooks. Take notes, journal, brainstorm, plan. Keep your phone in Do Not Disturb and only check according to an operating procedure. Setup your DND to allow calls through from critical contacts. Pick a time when you are open for free conversation. Maybe it’s your commute. Maybe it’s literally open office hours. Maybe it’s a recurring walk. Whatever it is, offer this time as an opportunity for conversations. All this freed time can lead to existential anxiety or produce negative behaviors (mindless consumption, alcohol/drug abuse, etc.) to fill the void. Newport claims giving more thought, attention, and effort to our leisure will make it more fulfilling and restorative, and help us keep on the Digital Minimalism path. Per principle #2, this should be analog. Newport recommends trying to learn and apply a skill each week over Digital Declutter period. Per your operating procedures, you should decide when, how much, how, etc. For example, maybe you only stream TV with family and friends, and only for X hours on the weekends. Maybe you only check in on Facebook events, groups, and family pictures for an hour on the weekends. In Newport’s findings, “the vast majority of regular social media users can receive the vast majority of the value these services provide their life in as little as twenty to forty minutes of use per week”, as opposed to the 3+ hours that the average person spends daily on their smartphones. 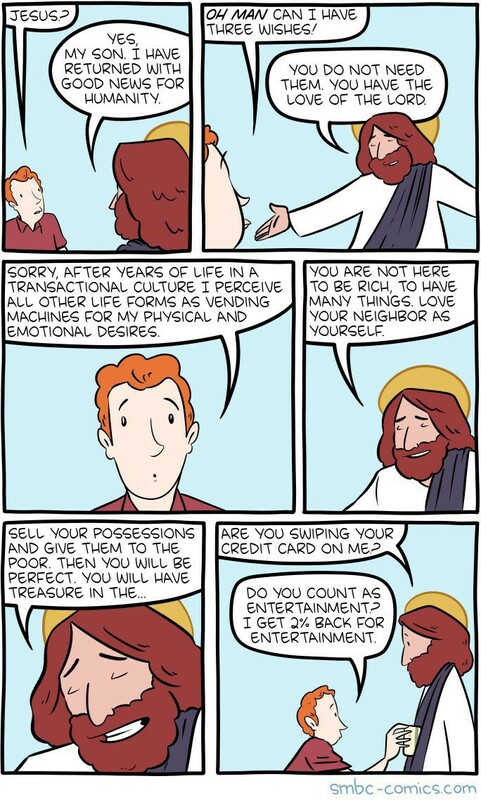 Join a club, meetup, organization, etc. Or start your own! This may sound backwards, but actually planning your leisure may give you more opportunities to do it, by prioritizing it in your schedule. Newport recommends a seasonal plan and weekly planning. A good seasonal plan contains two different types of items: objectives and habits that you intend to honor in the upcoming season. The objectives describe specific goals you hope to accomplish, with accompanying strategies for how you will accomplish them. The habits describe behavior rules you hope to stick with throughout the season. For each of the objectives in the seasonal plan, figure out what actions you can do during the week to make progress on these objectives, and then, crucially, schedule exactly when you’ll do these things. Once you have your operating procedures around use, you probably don’t need it there, anyway. People who work with Social Media for their job typically have operating procedures to be effective. For example, fix the signal-to-noise ratio by being careful about what and who you follow. Slow Media or Slow News is like the Slow Food or Slow Church movement. Embrace the patient, high-quality, well-considered sources and conversations. Avoid junk and reactivity. Avoid “Breaking News”, which is almost always low-quality, error-prone, and often emotionally manipulative. Seek opposing viewpoints. Follow feeds from good writers. Save/bunch stories to read once a week. Consider a dumbphone, no phone, or something like the Light Phone or the Punkt Phone. I liked this book and look forward to implementing my break and examination during Lent. Want to discuss the book? Message me and let’s have a conversation! Reminder: people who behave terribly online probably behave terribly terrible offscreen, too. It’s the same person and online is still real life. 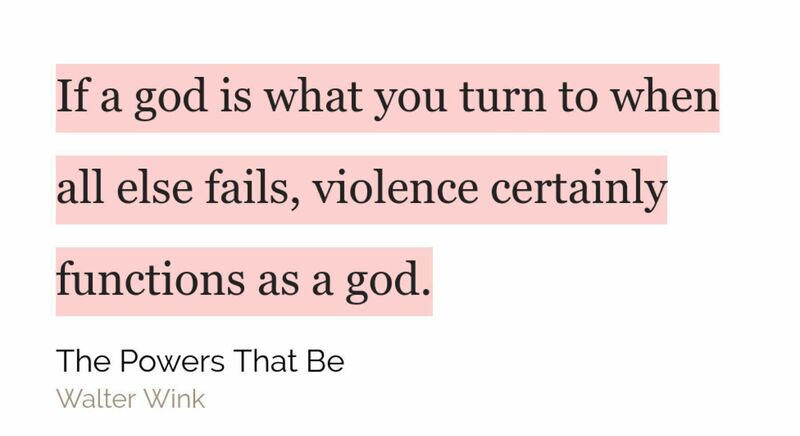 If a god is what you turn to when all else fails, violence certainly functions as a god. It’s definitely a warning sign when I hear someone complain about “drama”. The usage of “drama” is generally to complain about people upsetting the status quo, from their privileged position of not having to worry as much about social considerations. Just added to Security Thinking for Big Data: the Algorithmic Justice League.